We operate our own collection vehicles throughout the North West of England which do daily collections to suit our customers needs. Customer Reviews From Our Facebook Page Judith Strachan – 19th April 2016 Superb service and we have the most amazing courier attending to all our needs every day, he will go the extra mile for us. He is so polite and courteous. 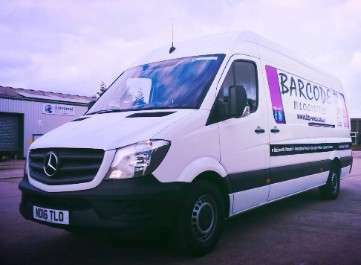 We have used Barcode Logistics for years and although we have had other services offering a slightly cheaper cost we remain loyal due to the exceptional job that they do for us. Keep up the good work !! 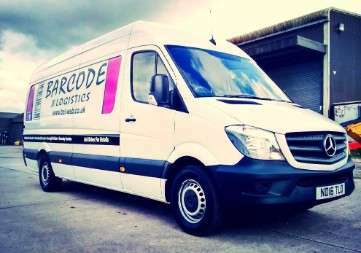 Alan Capstick – 12th April 2016 I have been using the services of Barcode Logistics since April 2012 and have found their service to be excellent. If I have ever needed help, there has always been a friendly voice at the other end of the phone line to assist. Although I only send a few parcels each month, I send all those that weigh over 2 Kg and up to 30 kg that are going to Mainland UK addresses via Barcode Logistics and would not think of using an alternative service. Thank you. If your product is of high value, out of the ordinary or your customer needs it the same day, we offer a solution to meet your requirements. We work in partnership with several large carrier companies, which enables us to keep the cost down for all our customers. Our state of the art booking system allows you to book a job at your desktop. We have our own local customer service team to deal with any queries and to advise you on the best shipping solution for your goods. We collect all your shipments from you, saving you waiting round for different vehicles to turn up. All our customer’s are valued from a one off shipment to daily despatch, we are committed to your business as we are to our business. Barcode Logistics have been operating for many years. The company started off as a dedicated/same day delivery company. 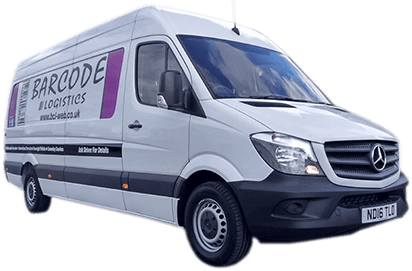 The company was originally set up as a same day courier service but has evolved over the years and now also caters for the overnight parcel market. Our People will go the extra mile to ensure that you and your customer receive a 1st class delivery service experience. We work as a team and each member plays a continuing part in the success of the company. Are you sending parcels on a weekly basis? Barcode can help you save time and money on your bulk parcel distribution.